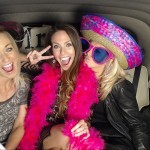 Book a unique Photo booth experience for your guests! Everyone loves taking photos, so what is better than letting your guests take home a memento from the big night in Birmingham? 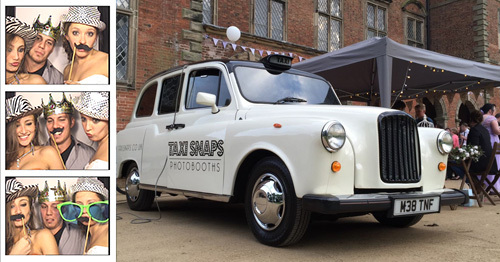 Climb into our vintage British taxi and discover all of the best and advanced equipment you need to become your own photographer. There is an easy to use interactive touch screen to take photos and with an advanced DSLR camera inside, guests will love the clear and sharp photo strips they can keep forever. It has never been so easy and fun to keep your guests entertained! Now our British taxis don’t just take photos, but they also let your guests become the director of their own hilarious videos! It is easy to share HD videos live to social media for guests that couldn’t make it, as well as show everyone what they are missing. 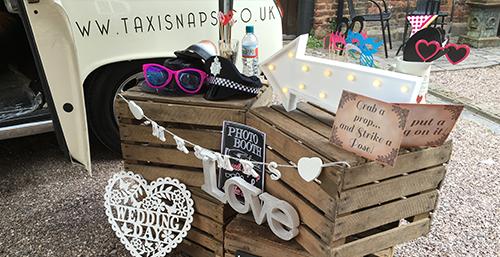 We also provide a box of props with our Taxi Snap Photo Booth. You will find a bunch of colourful and amusing hats, glasses and moustaches that guests can dress up with. This will definitely bring a smile to everyone’s face! Plus, you will be able to look back on all of the photos and videos at the end of the night and in many years to come. 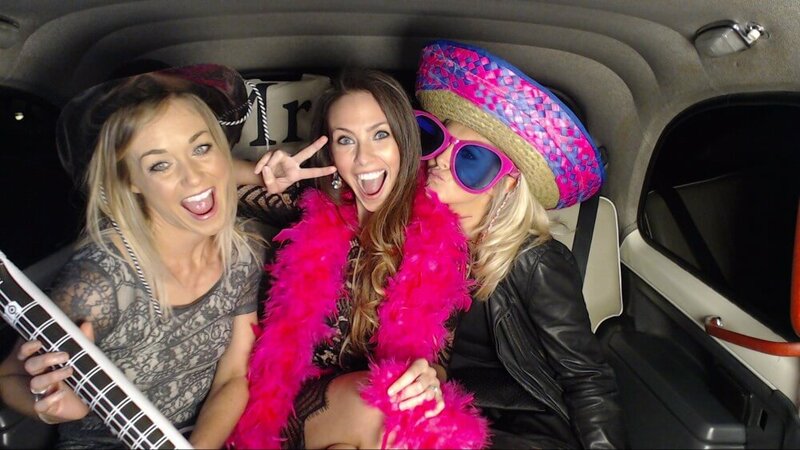 It doesn’t matter what kind of event you have in Birmingham; Taxi Snap Photo Booth can bring the fun. When you hail one of our famous British taxis, you can expect a smooth and easy ride. We make sure all of our guests can enjoy a wonderful experience without any hassle, by assigning a dedicated events manager to every booking. 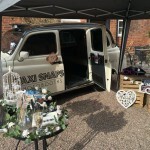 We will make sure your vintage taxi is up and running in time for your event, without you having to lift a finger. 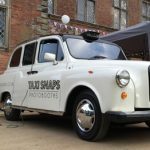 We can even add branding to your Taxi and prints to make the day extra special! Once the event has finished, we will also dismantle and take everything away for you. We can provide great packages at amazing prices for events in Birmingham. 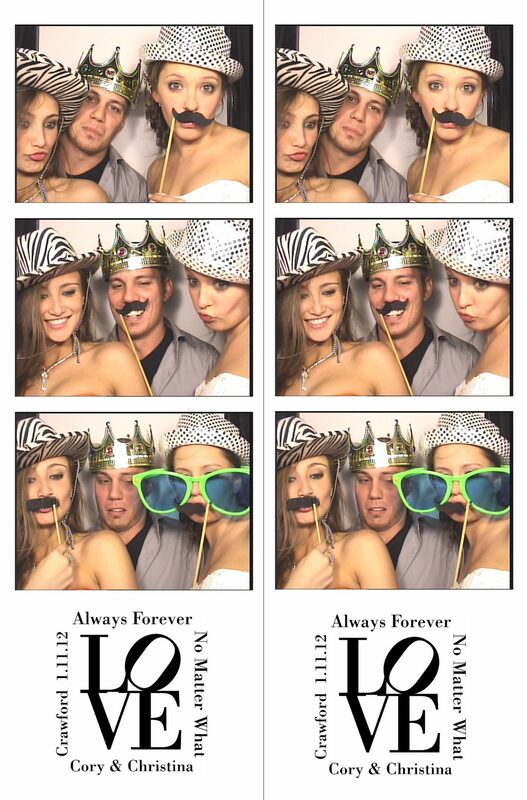 We offer unlimited and quality 2 x 6 photo strip prints with every package, so your guests can take home mementos from the event. 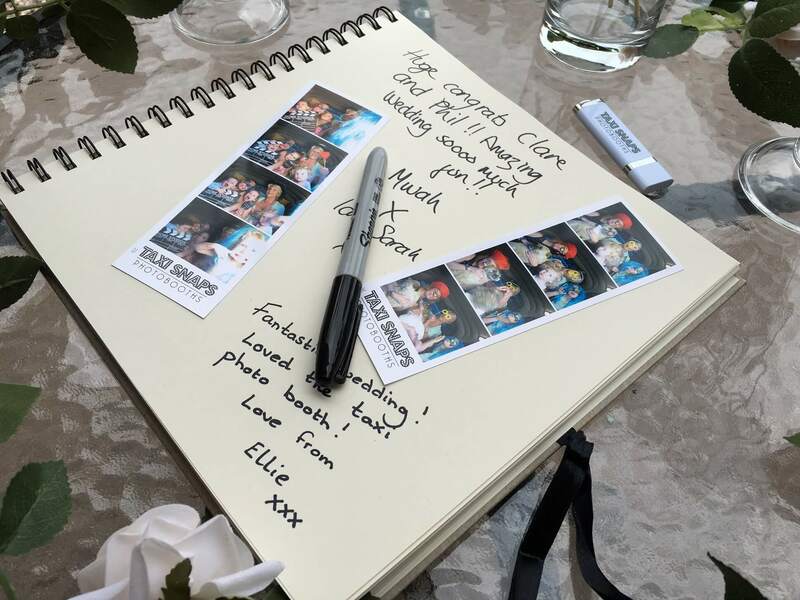 We also offer you a complimentary photo memory guestbook with every booking, so you can look back fondly on photos and comments that guests have left afterwards. 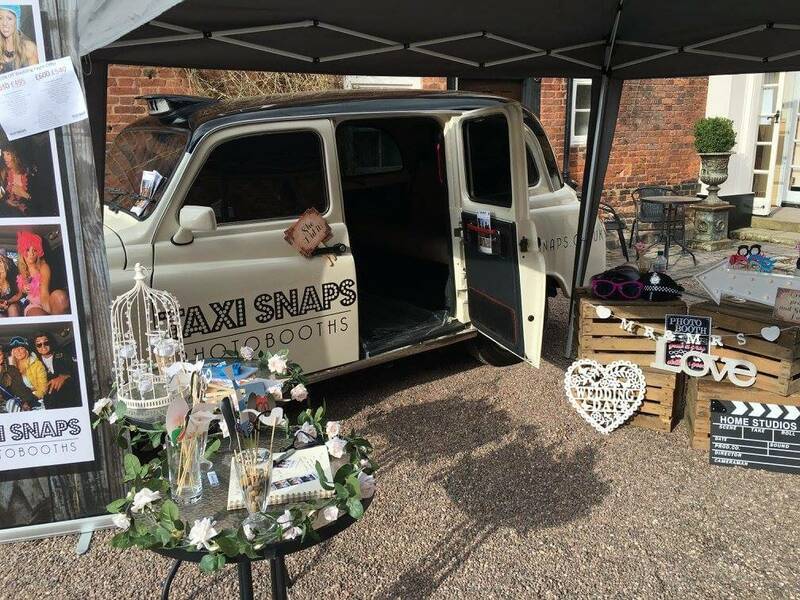 If you love the sound of our Taxi Snap Photo Book, book today to make sure your day is the best one ever! Our interactive touch screens are easy to use and all guests have to do is select a photo or video. You are able to retake and zoom until you have the perfect shot. The countdown timer allows everyone time to strike a pose. 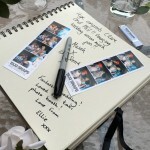 No matter what package you choose, you will receive a complimentary Photo Guestbook. This lets your guests share a picture with you on your special day and write a comment you can read later on. Our prop boxes always bring fun and laughter to the party. 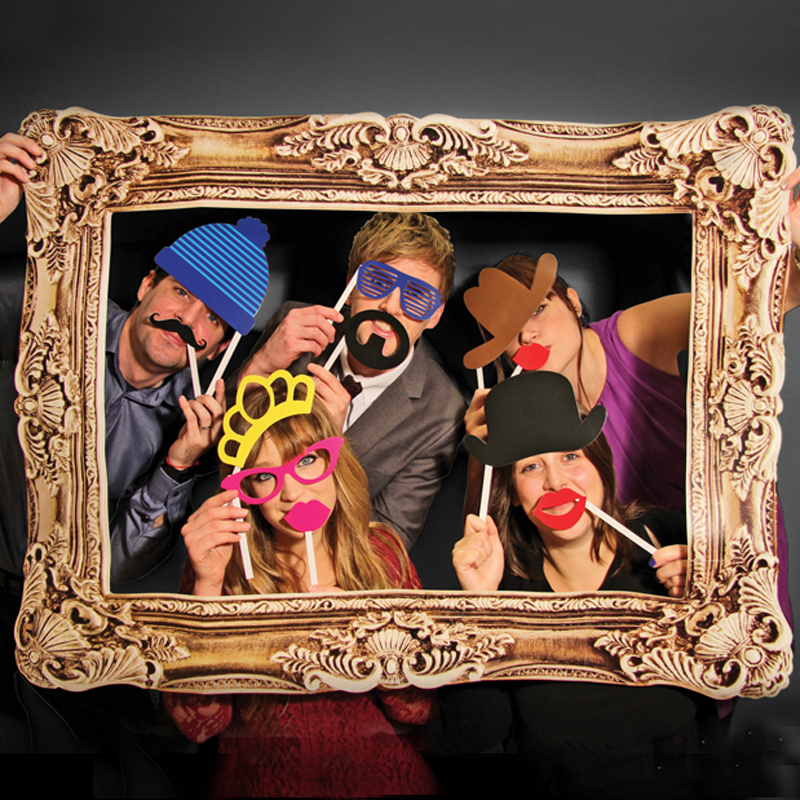 We have a range of hilarious moustaches, hats and other bright props you can pose with. 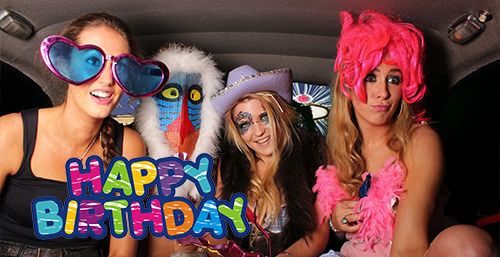 All of your photo booth images can be uploaded to our secure location with password protection. This means you can share them on the internet, but only with the people you want to. Now you can enjoy unlimited prints at your party; there’s no limits on customised prints with text, graphics or logos. Your guests can enjoy as many as they like throughout the night. 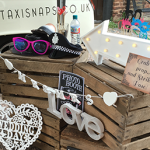 Leave everything to us; we will set up your booth before your guests arrive and take everything down afterwards. You won’t have to lift a finger. Guests can have fun with HD video recordings and leave you amusing messages to watch after the night has ended. All of our booths come equipped with an advanced DSLR camera that is ready to use. This makes sure all images are high quality, combined with sub dye printing technology. To keep images after the event, we can provide you with a USB stick of the night, so you can relive the occasion again and again. You can upload photos and videos live from your event onto your favourite social media platform via our network. Our booths have the latest sub dye technology for unbeaten quality and clear 2 x 6 photo strips. If your guests have any questions or problems, one of our professional and friendly booth attendants are always on hand to help.